Every year I put in a substantial patch of basil along side my other herbs. I occupies about a fourth of the area in my gardens that are dedicated to herbs. This allows me to harvest early. I can get enough basil to make my Grilled Pesto Pizza with just the early true leaf thinnings. It one of our ritual first meals of summer! But this year something unusual happened and I’m still not sure what it was. The season started well and I was already harvesting so we could enjoy fresh basil till the next season. Then, my Genovese basil turn yellowish and almost all the leaves blackened and dropped off. I had small leaf basil growing right next to it and it was unaffected. I have never seen this before. The stems remained green….. I was stumped. We’ve had record rain levels this year and erratic temperatures but nothing near being cold. I applied some epsom salts and a good layer of shredded bark mulch to help moderate the temperature. It is slowly coming back…oh….so….slowly. I wanted pesto! So I had to modify my normal routine of just basil. I have several other herbs that would work well. 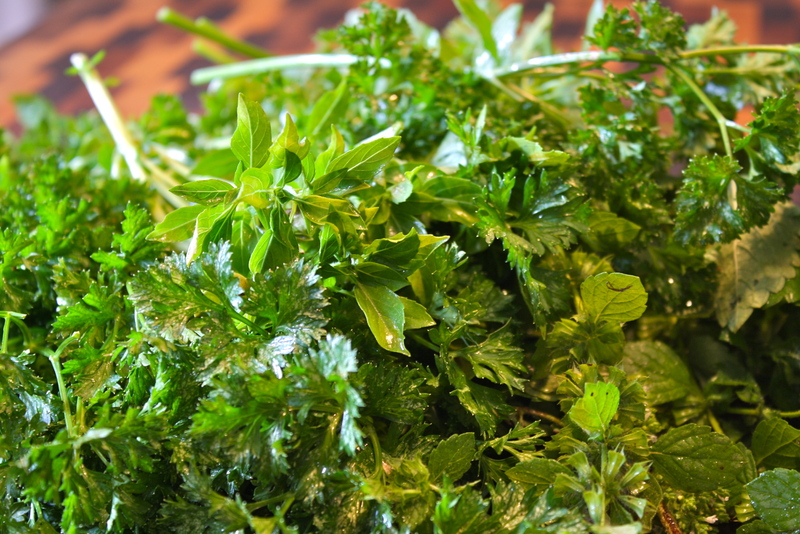 Curly parsley, some of the small leaf basil, I also added lemon balm and oregano. Since I didn’t have a lot of basil to stand up to the raw garlic, I used roasted garlic powder. I also used walnuts instead of sunflower seeds to boost the flavors as well. 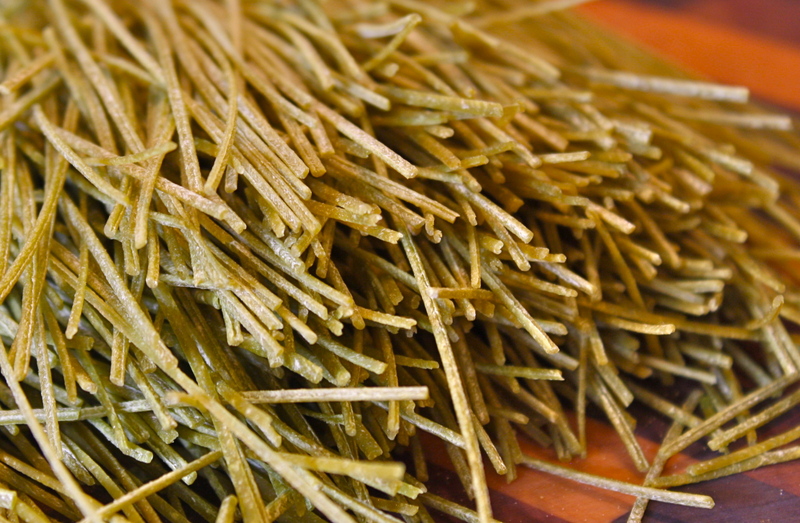 I had bought some spaghetti made from edamame at Costo. We had already tried the same brand’s black bean pasta and liked it. Low carb, high protein and fiber were the main reasons. I added peas and garden fresh grape tomatoes. No need for meat with this pasta. My guys, major meat lovers, liked this dish very much. Quick, easy and delicious! Place a large pot of water onto boil. 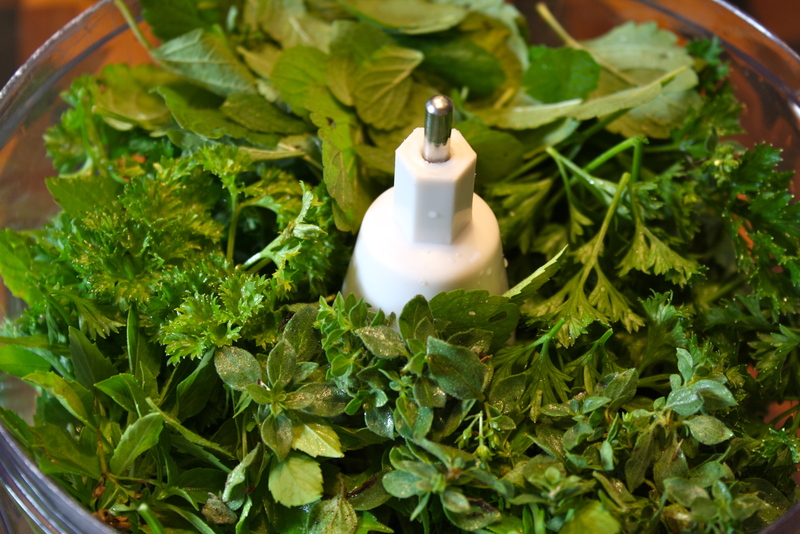 In your food processor, add all the ingredients (except the olive oil) to make the pesto. Attach the lid and process on low while pouring in the olive oil through the top opening. Process until almost smooth. Taste and adjust seasonings (salt, pepper, lemon juice). 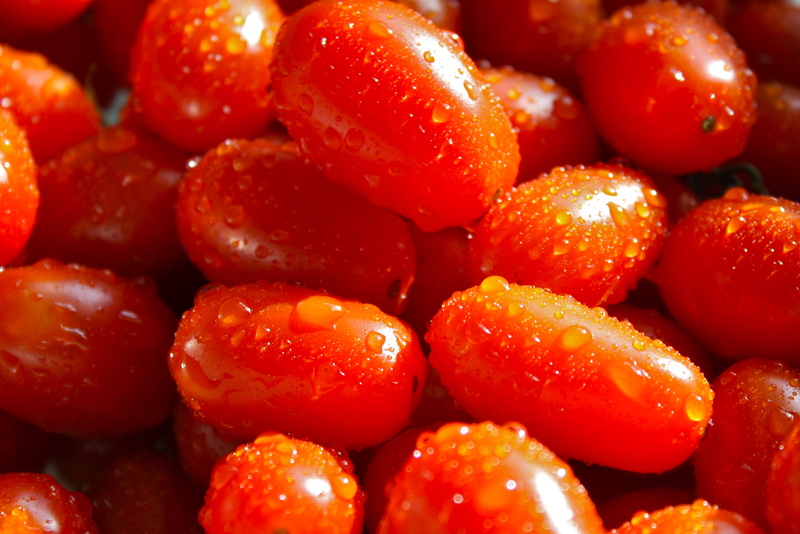 Halve tomatoes, if desired. Cook spaghetti according to package directions. Add peas during last minute of cooking. Drain and rinse, if desired. Return pasta to the pot. 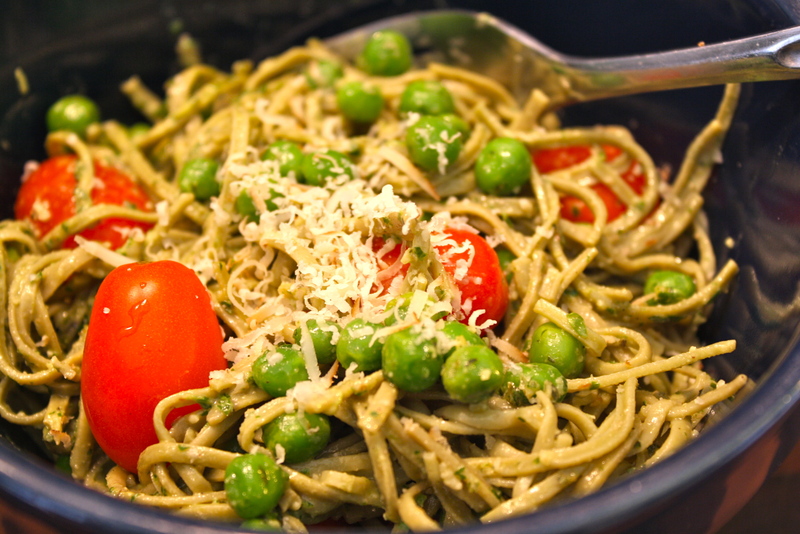 Add pesto to peas and pasta along with the tomatoes. Toss well. 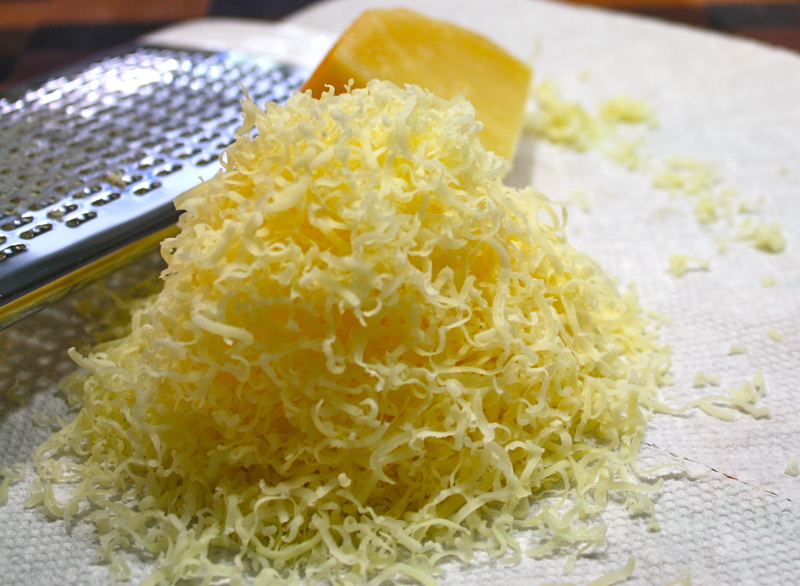 Serve with additional grated cheese. Enjoy! This sounds delicious! I can’t wait to try it out!